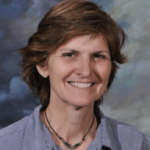 The first article in this 2-part series discussed collection, sample handling, and initial evaluation of urine in small animals (March/April 2014, available at tvpjournal .com). This article will describe more detailed evaluation, including chemical analysis and microscopic examination of sediment. Urine chemistry test strips have multiple pads impregnated with reagents that change color when the substance of interest is present. The degree of color change corresponds to the approximate amount of the substance present. Because color changes can be subtle, results may be considerably varied between individuals reading the test. These tests differ in the reagents used and number of tests provided (Figure 1). Urine chemistry test strip analyzers are also available and provide printed reports of results. Not all chemistry tests are useful or reliable in animal species. The test pads for urine specific gravity, urobilinogen, nitrite, and leukocytes are not used for veterinary patients. The normal urine pH range for dogs and cats is 6 to 7.5. 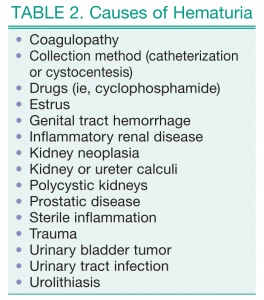 When a patient is ill, urine pH can be affected by acid–base status. Systemic acid–base abnormalities change urine pH because the kidneys offset the effects of pH change in the body. Increase in urine pH (alkaline urine) may result from urinary tract infections with urease producing bacteria (that convert urea to ammonia). Alkaline urine in a dog or cat should prompt an evaluation to determine if white cells and/or bacteria are present (often evident in urine sediment). Role of Diet. In healthy pets, urine pH is most dependent on diet and whether the patient has been fasted. Diets high in animal protein (typically consumed by dogs and cats) produce a lower urine pH (acidic urine). Plant- or vegetable-based diets (typically consumed by ruminants and horses) result in a higher urine pH (alkaline urine). Animals consuming milk diets tend to have acidic urine. Artifactual Effects. Artifactual increases in urine pH occur when samples are not examined promptly. For example, carbon dioxide, which is normally present in urine, diffuses into the atmosphere; this loss causes pH to rise because carbon dioxide acts as an acid. Reading the results after the appropriate, manufacturer-recommended time elapses. No color change to the reagent pad is interpreted as a negative result. Normally, there is little to no protein present in urine. The glomerulus does not typically filter larger plasma proteins, such as albumin and globulins, but it freely filters smaller proteins, which are reabsorbed in the proximal tubules of the kidneys unless there are significantly increased amounts of these proteins, or impairment of renal tubule reabsorption is present. Test strip protein pads are more sensitive to albumin compared to globulins, hemoglobin, Bence-Jones proteins, and mucoproteins. A positive reaction on the protein pad is elicited from trace (5–20 mg/dL) to 4+ (> 1000 mg/dL). However, this test is influenced by the pH of the urine, and, due to the presence of cauxin in feline urine, false–positive reactions are common, especially in mature cats. The protein pad is also associated with the most error in interpretation because the color changes are slight. Because this is a sensitive test (but not very specific), a negative reaction is usually reliable, which makes it a good screening test. 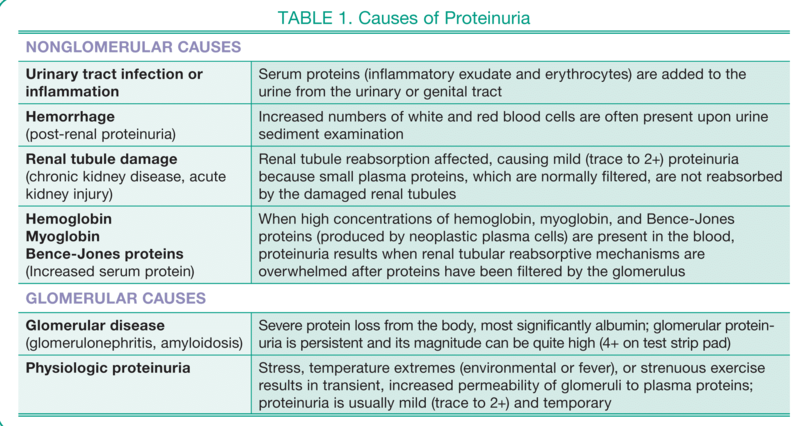 Table 1 outlines both nonglomerular and glomerular causes of proteinuria. Influence of pH. In alkaline urine, test strips may indicate falsely elevated protein concentrations. A positive protein result with alkaline urine should be re-checked by a separate method, such as the sulfosalicylic acid (SSA) turbidity test, which is performed by adding equal amounts of urine to a 5% solution of sulfosalicylic acid. Presence of protein results in cloudiness and, at higher protein concentrations, a precipitate. Urine Specific Gravity. Urine protein detected on the test strip pad is often considered in light of the urine specific gravity (USG) because the concentration or dilution of any protein present is directly related to the concentration or dilution of the urine. In a urine sample with a USG of 1.008, a 2+ protein reaction represents much more protein being lost in the urine compared to a 2+ protein reaction in urine with a USG of 1.050. Protein:Creatinine Ratio. Persistent urine protein concentrations of 3 to 4+ on the test strip pad—without an obvious nonglomerular cause—may be assessed with a urine protein:creatinine ratio (uPr:Cr). Creatinine clearance is steady in health—comparing the loss of protein to the constant excretion of creatinine identifies actual protein loss via the urinary system. 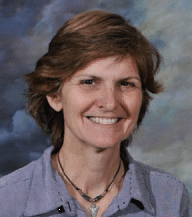 The uPr:Cr eliminates the need to collect a 24-hour urine sample and is not influenced by time of collection or gender; thus, a random, free-catch urine sample is sufficient. In healthy dogs and cats, uPr:Cr is less than 0.5. 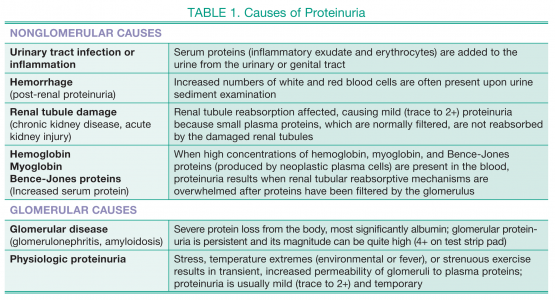 Glomerular proteinuria typically causes significant loss of albumin from the body; if severe, many animals demonstrate visible edema, particularly limb edema, or abdominal distension caused by free fluid accumulation. Microalbuminuria. Species-specific microalbuminuria assays can detect urine albumin concentrations as low as 1 mg/dL. Opinions vary on the use of these assays and their clinical implication, but some consider even small amounts of albumin in the urine as abnormal, possibly indicating early or subclinical glomerular disease. Glucose is not normally present in the urine in quantities detectable on dipsticks. The test strip pad detects glucose by an enzymatic chemical reaction that results in a color change proportional to the amount of glucose present. While this reaction is specific for glucose, it is important to realize enzyme activity is limited, and outdated strips may give false–negative results. Temperature can also affect enzyme activity; refrigerated samples need to be at room temperature before testing. Diabetes mellitus is a common cause of glucosuria due to excessive blood glucose concentrations. Stress in some animals (particularly cats) can cause marked transient hyperglycemia; if hyperglycemia has sufficient magnitude, glucosuria results. Renal tubular dysfunction is present when glucosuria is associated with normal blood glucose concentrations; this dysfunction may be inherited (primary renal glucosuria, Fanconi syndrome) or associated with acquired renal tubular diseases. Place 5 to 10 mL of urine in a clean centrifuge tube (this volume needs to be constant for every UA or the number of cells, crystals, and casts will be influenced). Centrifuge urine at 1500 rpm for 5 minutes (Figure 3). Sediment may be visible at the bottom of the tube when centrifugation is complete (Figure 4), and the amount of sediment corresponds to the amount of particulate matter (cells, crystals, etc) present in the urine. Remove most of the supernatant, carefully avoiding disruption of the material at the bottom, leaving 2 to 3 drops of supernatant to remix with the sediment. Gently tap or flick the tube with a finger to reconstitute the sediment with the remaining urine; avoid vigorous mixing as this may cause cellular artifacts and disruption of casts. Using a disposable dropper, transfer one drop of reconstituted sediment to a clean microscope slide and place a coverslip over the sample (Figure 5). Adding a urine sediment stain to the sample may improve nuclear detail and facilitate identification of cells.2 Stains, however, dilute the sample and affect semi-quantitative evaluation of the results.1,3 Stains may also add bacteria, fungal elements, and other debris to the sample. Examining both stained and unstained preparations is recommended. Air-dried urine sediment stained with a Romanowski-type rapid stain, such as Diff-Quik, can further facilitate the identification of cells and/or evaluation of cellular atypia. Ketones are normally produced at low levels that are undetectable in urine. They are formed during fat metabolism and include acetone, acetoacetic acid, and beta-hydroxybutyric acid. The glomerulus freely filters ketones, which are then excreted in the urine. The test strip pad detects excessive ketones in the urine by nitroprusside reaction. This test is most sensitive to acetoacetic acid, less sensitive to acetone, and does not detect beta-hydroxybutyric acid; therefore, it often underestimates the amount of ketones present. Acetoacetic acid decomposes to acetone and, because acetone is volatile, it diffuses into the atmosphere. False negatives or false low ketone concentration may result if urine samples are not quickly analyzed. Ketonuria indicates a shift from carbohydrate metabolism to fat metabolism. In small animals, this shift is most commonly associated with ketosis secondary to diabetes mellitus, but starvation also results in increased ketones. These conditions are characterized by metabolic demands that exceed the level that can be provided by carbohydrate metabolism. The test strip pad for blood in urine detects heme-containing substances through an enzymatic chemical reaction that results in a color change proportional to the amount of substance present. The heme may be from hemoglobin or myoglobin. Free hemoglobin is from lysed erythrocytes or intact erythrocytes. Myoglobin, a protein present in muscle cells, can be detected when extensive muscle damage or necrosis has occurred. 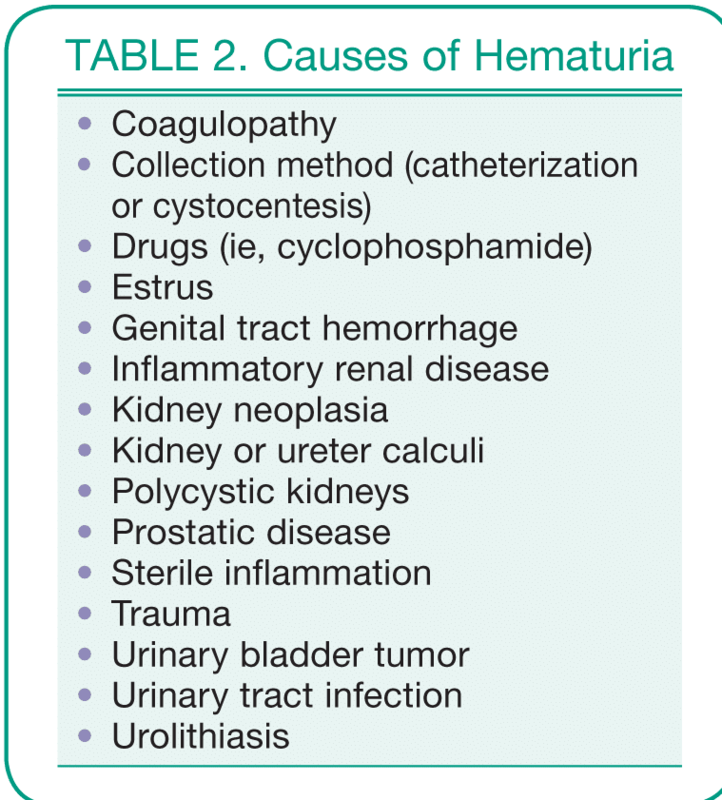 Positive occult blood results are most commonly associated with hematuria (Table 2) rather than hemoglobinuria. Occult blood reactions should be interpreted along with urine sediment findings. Presence of red cells in the sediment indicates that hematuria is causing the occult blood. However, if urine is dilute or alkaline, intact red cells may not be detected because they may have lysed. Bilirubin is a breakdown product of hemoglobin produced by senescent red cells being removed from general circulation. Conjugated bilirubin can pass through the glomerulus and be excreted in the urine. The renal threshold for bilirubin is low in most animals, particularly dogs. The test strip pad for bilirubin detects it by chemical reaction, producing a color change that indicates the amount of bilirubin present. Because bilirubin is degraded by ultraviolet light, prior to analysis urine samples should not be directly exposed to light. Discoloration of urine (due to hemoglobinuria and myoglobinuria) causes nonspecific color change in the bilirubin reagent pad, which interferes with reading the test strip. After preparation of the urine sediment slide (see How to Prepare Urine for Microscopic Examination), microscopic examination of the sediment is performed with the sub-stage condenser of the microscope lowered. The initial scanning of the slide is performed on low power (10×), which enables the examiner to evaluate the quantity of material present and quality of the sample preparation. Using the fine focus while scanning, the examiner can assess particles suspended in different planes of the fluid. Examination at high power (40×) enables the examiner to evaluate cell number and morphology, and identify casts and crystals. Each of these elements may be counted by averaging the number of elements in 10 fields. The cells, casts, and crystals are reported as the average number per high-power field (HPF) or low-power field (LPF). Red Blood Cells. Up to 5 red blood cells (RBCs) per HPF may be present in healthy animals. RBCs are small, biconcave, and without internal structure (Figure 6). Due to their biconcave structure, RBCs look like a “donuts” when manipulating the fine focus of the microscope. RBCs exposed to urine for prolonged periods become spiculated and small due to dehydration, and lyse in urine that is not analyzed quickly. Lysis is accelerated in either dilute urine (USG < 1.006) or alkaline urine, which results in a positive occult blood reading on the dipstick, but no visible erythrocytes on sediment examination. This result may be misdiagnosed as hemoglobinuria associated with intravascular hemolysis. White Blood Cells. Up to 5 white blood cells (WBCs) per HPF may be present in healthy animals. WBCs are round, approximately 1½ to 2 times the size of RBCs, and have refractive internal granularity that is more pronounced with fine focusing manipulation. WBCs in urine are typically neutrophils. Pyuria describes the presence of 6 to 10 or more neutrophils per HPF (Table 3). Unstained wet mount preparations present 2 challenges: (1) leukocytes may be present but cannot be readily differentiated and (2) it may be difficult to differentiate WBCs from small epithelial cells. Epithelial Cells. Low numbers of epithelial cells are found in the urine of healthy animals; particularly those samples obtained by catheterization, as cells slough and are replaced by new cells. In unstained wet mounts, it is difficult to differentiate epithelial cells based on size. Renal tubule cells are typically small, but distinguishing them from WBCs or small transitional cells may not be possible. Increased numbers of small epithelial cells should prompt evaluation of an air-dried, stained cytology preparation to distinguish WBCs and/or transitional cells from renal tubule cells. Sloughing of renal tubule cells indicates renal tubule damage. Transitional cells (Figure 7) line the renal pelvis, ureters, urinary bladder, and most of the urethra. They vary greatly in size, but are typically 2 to 4 times larger than WBCs, with a round nucleus and granular cytoplasm. Increased numbers of transitional cells may be seen with inflammation of the urinary bladder. This finding should prompt cytologic examination of an air-dried, stained sample to evaluate the cells for evidence of malignancy. Squamous cells (Figure 8) are located at the distal urethra and genital tract of females. They are large, polygonal cells considered contaminants. Urinary casts are cylindrical molds formed in the lumens of the renal tubules. They are primarily composed of a mucoprotein secreted by renal tubule cells. Concentrated urine, decreased urine flow, and acidic urine favor the formation of casts. Cells and other material (lipid, crystals) may be integrated into casts, changing their appearance and how they are characterized (Table 4). Hyaline casts are clear, composed only of mucoprotein (Figure 9). They deteriorate in alkaline urine. Cellular casts (erythrocytes, leukocytes, renal tubule cells, lipid) form as the cellular component becomes incorporated into the mucoprotein matrix in the lumen of the tubule (Figure 10). Progressive degradation of cellular casts leads to the characterization of coarsely granular, finely granular, and finely waxy casts (Figure 11). Less than 2 per LPF hyaline and > 1 per LPF granular casts may be found in urine from healthy animals.1,3 Increased numbers of casts in the urine (cylinduria) localizes a disease process to the kidneys. Crystals are commonly found in urine. Their formation is dependent on oversaturation of the mineral substrate and urine pH. Crystals may be associated with urolithiasis or other medical condition or have no diagnostic significance. Struvite crystals may be observed in neutral to alkaline urine of dogs and cats. These crystals can form in vitro in stored, uncovered urine (Figure 12). Calcium oxalate dihydrate (weddellite) crystals may be observed in healthy animals (Figure 13). 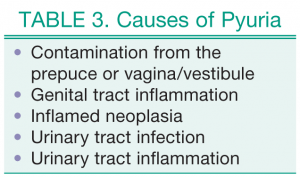 They may also be present with calcium oxalate monohydrate (whewellite) crystals—which are not found in healthy animals (Figure 14), but in patients with ethylene glycol poisoning. Ammonium biurate crystals are indicative of liver disease or portosystemic shunts in cats and dogs (Figure 15). These crystals and uric acid crystals may be present in dalmatians due to a defect in purine metabolism. Bilirubin crystals are occasionally observed in the urine of healthy dogs, but always represent an abnormal finding in cats (Figure 16). In vitro formation of some crystals can occur in refrigerated samples, while others form as the pH rises in uncovered stored samples. Bacteria may be present in urine as the result of infection or contamination. However, small moving particles in the urine can be mistaken for bacteria. Bacterial rods are more easily identified than bacterial cocci. Yeast may be present due to contamination or infection (less common). Lipid droplets are round, variably sized, and refractive during fine focusing. They are commonly observed in feline urine samples (Figure 10). Sperm may be present in urine samples from intact males, or free catch urine samples from recently bred females. Stockham S, Scott M. Urinary. Fundaments of Veterinary Clinical Pathology, 2nd ed. Ames, IA: Blackwell Publishing, 2008, pp 463-473. Chew DJ, DiBartola SP. Sample handling, preparation, and analysis. Interpretation of Canine and Feline Urinalysis. Wilmington, DE: Ralston Purina, 1998, p 10. Osborne CA, Stevens JB. Biochemical analysis of urine: Indications, methods, interpretation. Urine sediment: Under the microscope.Urinalysis: A Clinical Guide to Compassionate Patient Care. Robinson, PA: Bayer Corporation, 1999, pp 105-140.